Some friends just commented about a video on Twitter where a watch guy basically described why real watches are real watches, and technology-based watches like the Apple Watch don’t qualify. You should take a moment to watch the video. I agree with many of his points, and I’ve recently consumed a number of similar opinions from similar people. There was a great review and podcast over on Hodinkee, which included comments by John Gruber, and they all seemed to have the same basic takeaways. But this video above kind of jumped around making a series of very different points—some of which were good, and some that I think were mistaken. The reason some were off and others were accurate is because like the other watch purists he’s not addressing the core issue. Instead he’s dealing with effects of the issue, like treating symptoms instead of cause. I know now how sacrilegious it is to merge motion with quartz, but I still think it’s cool. Let me also say that I am a watch person myself. I’ve been categorically obsessed with watches since junior high school. I started with Casio watches like the original G-Shock (which I still have an affinity for), and then moved into Seiko after high school. 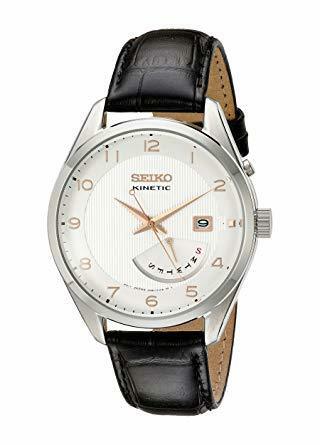 I was super into—and still have—the first generation of Seiko Kinetic watch, which used arm motion to charge the battery that powered a quartz movement. 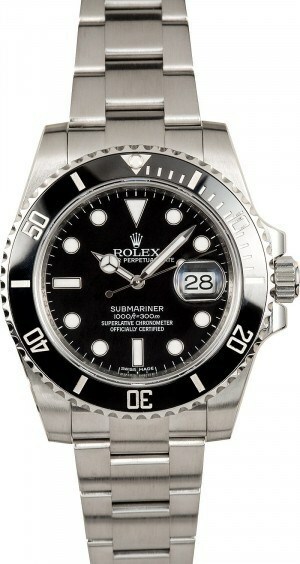 In the early 90’s I already knew what my ultimate watch was—the Submariner. In fact, here’s a blog post I wrote in 1997 talking about how I would eventually get one. I have the stainless black Sub with date, circa 2012, show below. I got that dream watch in the early 2000’s, and it remains my canonical and ultimate watch. 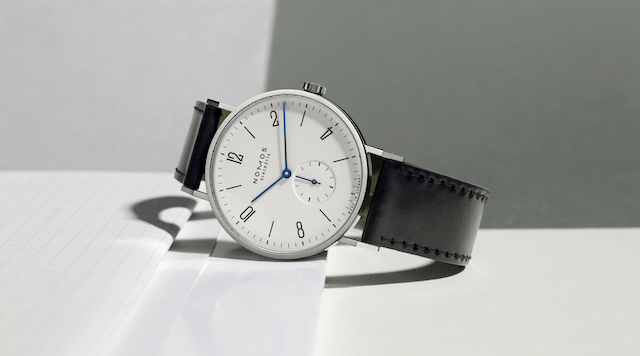 I was set on getting a NOMOS Tangente for a while, but because I basically only wear my Apple Watch now I think I might abandon that plan. But I never wear my Submariner. Not anymore. I think I don’t wear my Submariner because I’ve read too much evolutionary psychology, and I therefore understand a lot more than the average person about why people do things—including myself. I love how I feel when I wear my Submariner. It makes me feel good. It makes me feel good even if nobody is around, so it’s not all about broadcasting to others, but that’s a major part of it. I’m reminded of a quote, which reminds me of all sorts of people, including myself at various times. Many a peacock hides his tail from all eyes–and calls it his pride. I’m honestly not completely over this. I drive an M3. I wear fairly nice clothes. And I generally like to surround myself with nice things. But there is no calculus that I can perform that isn’t either 1) some sort of internal confidence bolstering, or 2) a type of evolutionary value signaling that tells people what I’m about, how cool I am, etc. That’s not just me, that’s everyone. 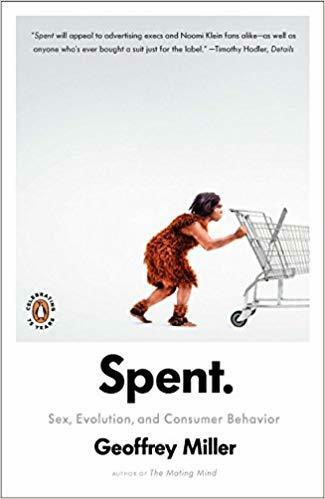 You should read this book called Spent, which goes into how evolutionary psychology basically weilds us like sock puppets. What’s the upside of wearing my Submariner? I’m going to write these out freely, without thinking or filtering. Wow, timeless is a pun since it can lose or gain minutes per month. It’s more timeless in the sense that if you’re doing anything old, traditional, or that you want to last for a long time (like pictures), you want to wear it rather something that can be dated easily. It communicates taste to others who have taste. So it’s a way of raising your status with others of high status. It communicates superiority to those who only have enough taste to know it’s better than anything they would wear, but not enough to fully understand why (or to be able to afford one). It gives me a feeling of accomplishment and history, since I wanted this watch when I had nothing, and now it’s a symbol of having made it. It’s a piece of art and engineering. It can last for decades and decades and still perform it’s nearly singular function. Anyway, those are some of the reasons I would have worn my Submariner in the past. I personally am not the condescending type, so I don’t riff off the superiority bit much, but all of the others were present to some degree. Wearing my Submariner reminds me of walking into a bookstore. It just makes me feel better about myself and the world. Like I’m doing ok…and my potential is infinite. Watches have always straddled the line between form and function, and the move to wearable computers will not be any different. But watches didn’t start out that way. They started out as a way to tell the time. They started out as functional, and over time they became (like anything else kept on the body) an indicator of values, class, etc. Ultimately, anything you keep on your person and take into public is a signal of what you represent and want people to associate with you. If you wear a $10 Timex that’s because you want people to know you’re frugal, or you might not actually care what people think. But that’s actually remarkably rare. You can tell people who actually fit into this category, and most people reading this are not that person, if they’re really being honest with themselves. So when you have the choice of different types of form (design) and different types of function (capabilities), and you make your choice, you are doing so as a reflection of what you actually need and what you want others to think of you. That’s just reality, and this is readily apparent to anyone who learns even a little about evolutionary psychology. So, when it comes time to wear a beautiful mechanical watch that keeps horrible time, doesn’t know anything about your appointments, and can’t help you be more healthy, you have to ask yourself what you’re getting in return. In my opinion, the tradeoffs are so severe in the function category that they can only be offset by an extraordinary weight on the signaling side of the scale. Watch people—meaning people who claim to be such purists that they won’t wear a computer on their wrists—are simply making the decision to choose their watch fam and all the status, inclusion, and deeply fulfilling condescension that comes with it. They want to signal that they are into something that others don’t understand or cannot afford, because that signaling attracts others who have similar values, and thus puts them in a superior position in their social circles. That’s just life. It’s not bad. You can’t fault them for it. And that’s not the purpose of this piece. I’m simply trying to explain the underlying machinery to this entire debate. If you wear something on your wrist, and you say you do so because it performs a function, then you should obviously want to wear something that performs a better function. If you decline to use a better functioning tool, then there must be a non-functional reason for staying with the old one—it’s that simple. And the reason for watch people to wear pocket watches on their wrists is that they’re functioning as jewelry. Anyone want to guess what the purpose of jewelry is? Yes—signaling your status to others. Sure, it makes you feel good, but that’s because of the signaling, not the other way around. And while we’re on the topic, what do you think the pocket watch people said about the people who wanted to strap a watch to their wrists? I’m not an expert on the topic, but I’m guessing they were viewed as a bunch of absolute savages. Everything new is savage compared to the old. Wearing computers on our wrists doesn’t currently allow us to adequately signal to others how rich or awesome we are. That’s a downside of course, but it’s very early in this cycle of wearable tech compared to the history of watches. I’m sure many companies will release many tiers of wearable tech that can adequately differentiate you in terms of values and class—which is largely what sells. The function matters, but not nearly as much as the form. We already have computers in our pockets after all. To sum, watches for WatchPeople™ have become jewelry that tells time poorly, signals their values and tastes to like-minded collectors, and tells everyone else that they’re just a little bit better than you. I’m ok with that. I get it. Part of me is that person—even today. And I’ll absolutely keep my Submariner for the occasional wear. But I see this entire conversation on the scale of human time. At that scale we’re talking about the timeless jockeying of form and function. And in that battle, I see wearable tech completely dominating the limited capabilities of wrist-worn pocket watches very soon—if it hasn’t already. But I’ll still never get rid of my Submariner. There’s another element of watches that has universal appeal, which is the advantage of old things vs. new things. Heirlooms are valuable in part because of how old they are, and things have value based on time we’ve spent with them, what they’ve been through, etc. This is an advantage of jewelry over technology, but let us not confuse that with function. There are some hybrids of form, function, and timelessness such as watches and certain old cars, which generate a certain type of happiness in collectors. But notice that they usually don’t drive those cars to work because they don’t have seat belts, anti-lock brakes, or many of the other things we need from a car. It’s the same with watches. And also notice that the main pastime of people with old car collections is showing them to other people so that they’ll be appreciated. Did I mean the cars or the owner? Hard to say. There’s also the fact that watches like the Submariner aren’t that unique, or hard to make. Their main allure is still that they’re still only owned by a small percentage of people who can afford a $10,000 watch. But if you spend any time in airport clubs you’ll see that Rolexes are basically standard issue.